A daily pad that contains hyaluronic acid to replenish moisture for all day hydration. Regular use of pads will smooth the skin's texture, providing a perfect canvas for flawless makeup. Non-irritating, alcohol-free, fragrance-free, no animal testing. Made in Korea. COSRX believes the best skincare is simple skincare. 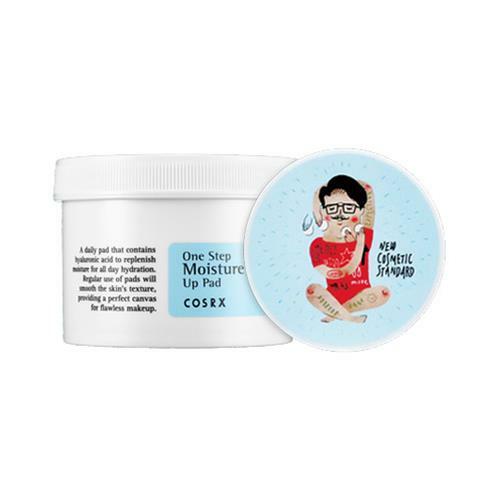 COSRX is gaining passionate customers for its simply and effectively formulated products, which include AHA and BHA chemical exfoliants and barrier-repairing moisturizing creams. A serious skincare line that solves specific problems with proven ingredients–at very affordable prices. Using a minimal amount of highly effective natural extracts, CosRX products deliver visible results by treating skin with only the essentials it needs and nothing it doesn’t.